Soil nematodes are a continuing problem in cotton, peanuts and 2nd crop corn, I’ve noticed this week. 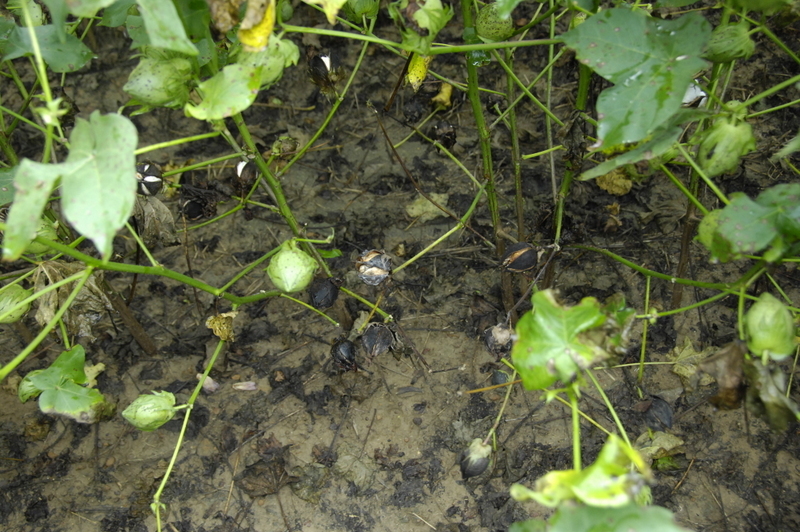 Some cotton fields have area damage and have leaf yellowing and drop. Loss of one of our best nematicides has been a partial cause. Second crop corn in sandy areas of some fields is growing slowly and upon root examination there are nematodes present. 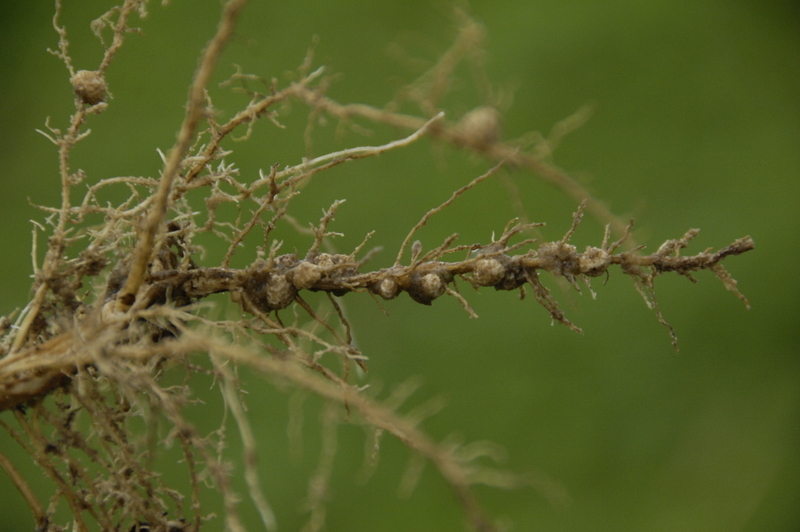 Peanuts being brought in for maturity testing are showing nematode signs in some cases. Nematode affected area in cotton. Full season irrigated soybeans are rare here but the fields I’ve seen look good. Growers have fought caterpillars and stinkbugs and Asiatic Rust (preventatively) in them. Pod set and formation looks good and they are filling. Ultra late beans are coming along I measured some this week at over 20 inches tall, so that’s good. One of the main challenges on soybeans after corn is to get enough height on them. 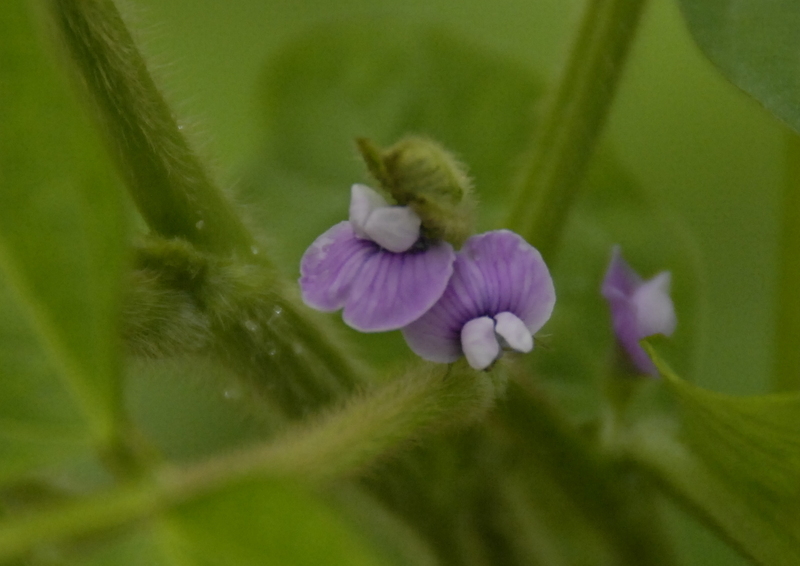 These beans are beginning to bloom pretty well now. Loopers and Velvet Bean Caterpillars(VBC) love them. Soon we’ll need a fungicide spray on them and a possible stink bug spray if they are present. 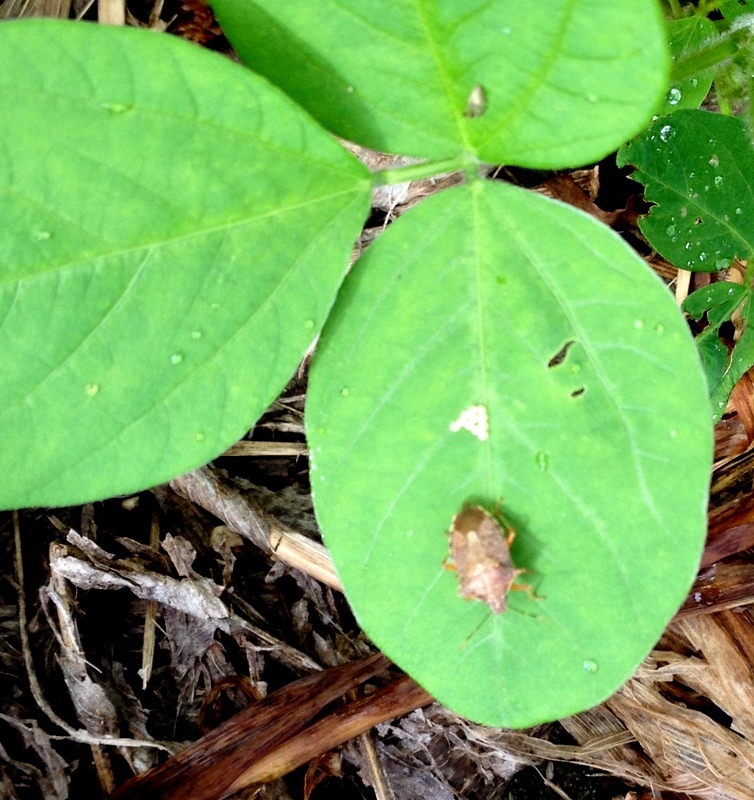 I caught one brown stink bug female in the process of laying eggs on a soybean leaf in a field that is not yet blooming. Nodulating, fixing their own Nitrogen. Here’s Clint Courts checking some cotton planted after wheat harvest that looks good. How good the cotton crop is, is questionable. Older cotton that is opened up half way the stalk, has had a tough time with boll rot and cloudy wet weather has caused some fruit loss on top crop. Younger cotton just starting to open looks some better but it shed a lot of squares and young bolls in the last month or so as well. 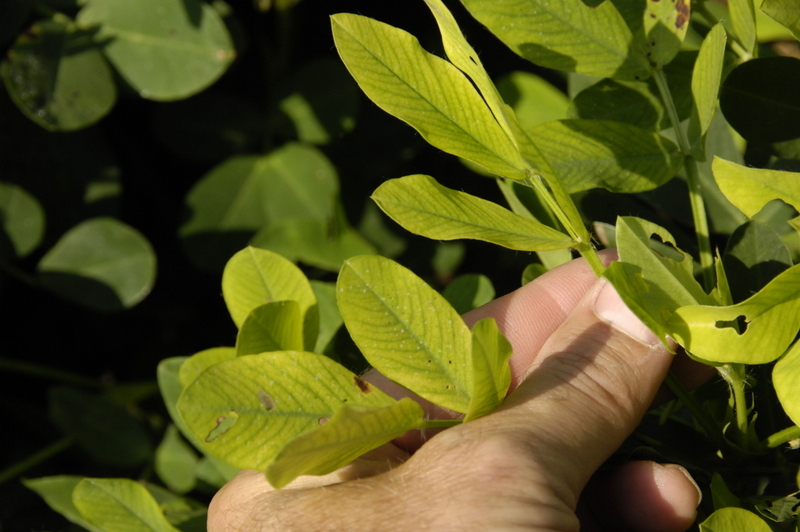 Corenespora leaf spot has caused problems too, and nematodes are causing defoliation and potential yield loss. 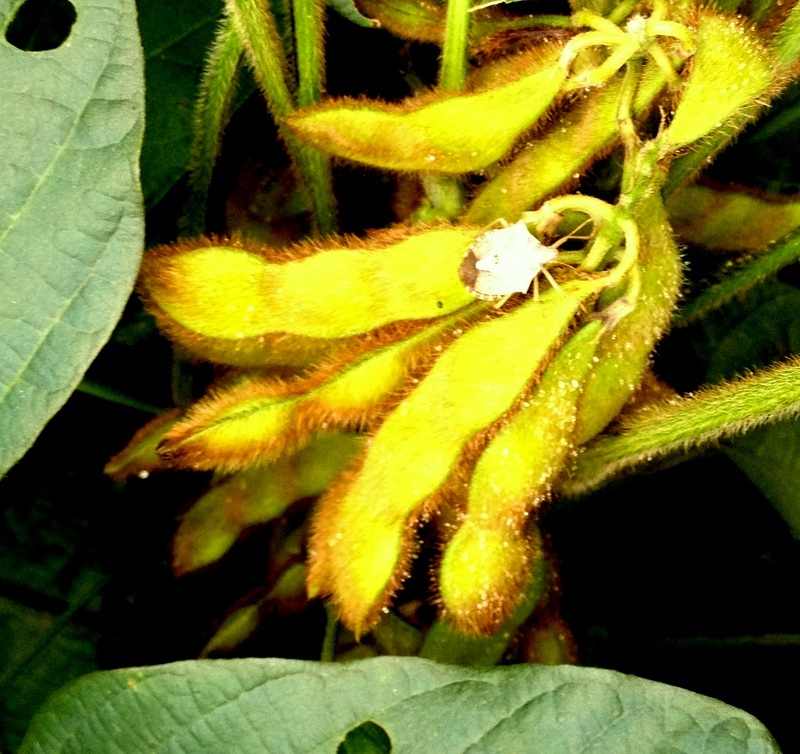 Stink bugs have been active as well and many fields have been treated for them. We could use some sunshine. Boll rot is rough in some fields, especially if they have rank growth. We have a good crop of Muscadines this year and my Mother said that as a girl they ate Muscadine Hull Cobbler. It doesn’t sound too appetizing due to the thickness of muscadine hulls. However my wife and I decided to make some and it is good! It has a unique taste. We looked at several recipes and finally made up our own based on what Mama said. Here’s the jist of it. Take a cup of self rising flour, 1 stick of butter or margarine, a cup of sugar and 3/4 cup of milk. Melt butter and combine ingredients and stir together until smooth. Put into a 9 x 12 or similar baking dish. Spoon mixture of hulls and pulp onto top and put in a 350 degree oven for an hour or until top is browned. Corn harvest is so early in the year, we have a problem with weeds in corn fields that are fallow after corn harvest, since we have about 3 months until our normal first frost. 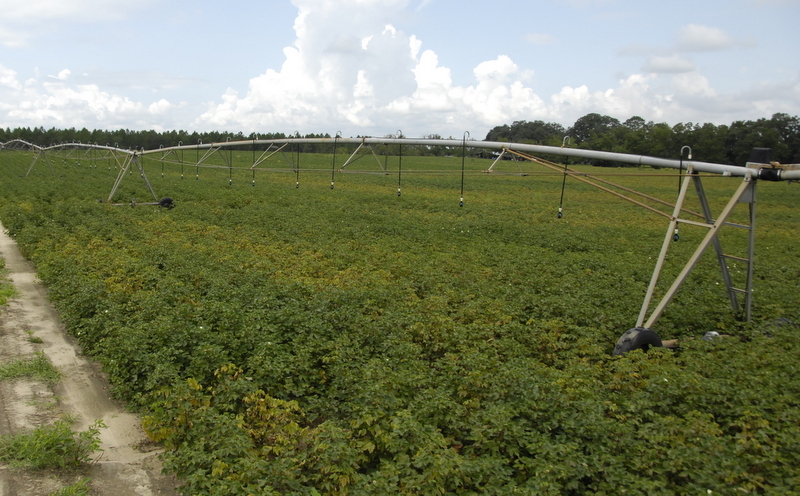 Here’s some information concerning killing weeds in these fields from Dr. Eric Prostko, UGA Extension Scientist. 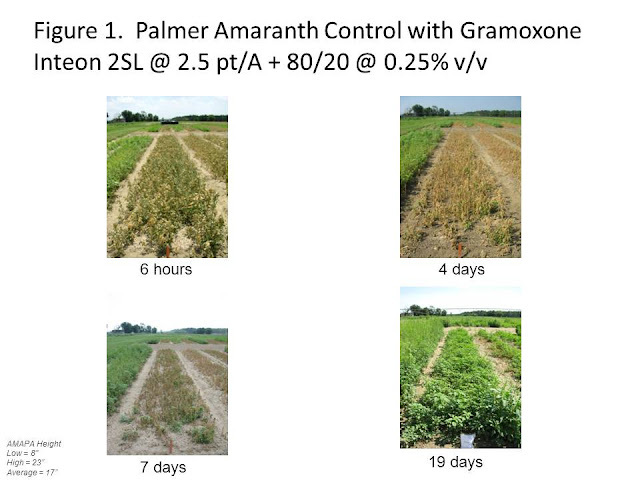 It is extremely important to control this fall population of Palmer Amaranth plants before they produce more seed which can be added to the soil seed-bank. A year’s worth of good control could go down the drain if these populations are allowed to produce seed! In case you were unaware, I have very specific recommendations for this particular situation on page 62 of the 2012 UGA Pest Control Handbook. 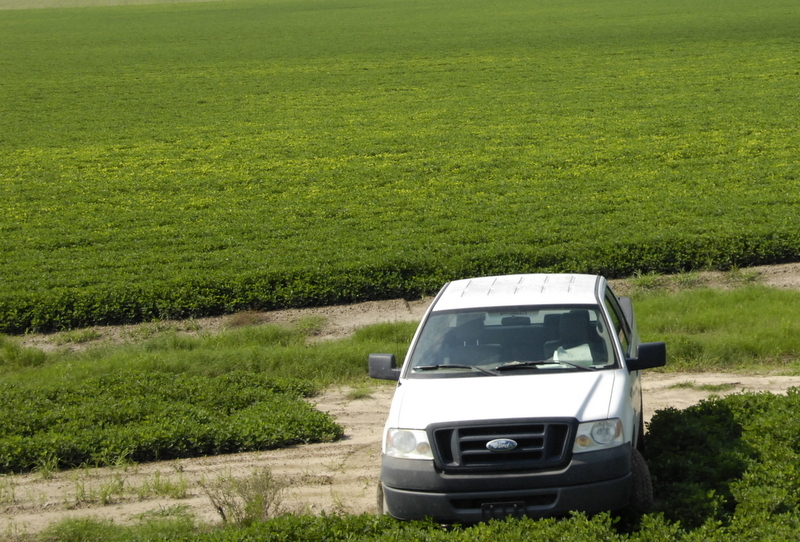 It is critical that growers pay close attention to the size of the Palmer Pigweed. If paraquat is applied to weeds larger than 6″, control will be poor and this lack of control may even help contribute to the future development of paraquat resistance. I often suspect that some folks think that I make this stuff up. However, if you do not believe me, please refer to Figure 1. Increasing the paraquat rate and tank-mixtures with 2,4-D or dicamba would help but not enough for me to say that it is a great idea to spray pigweed plants greater than 6″ tall. 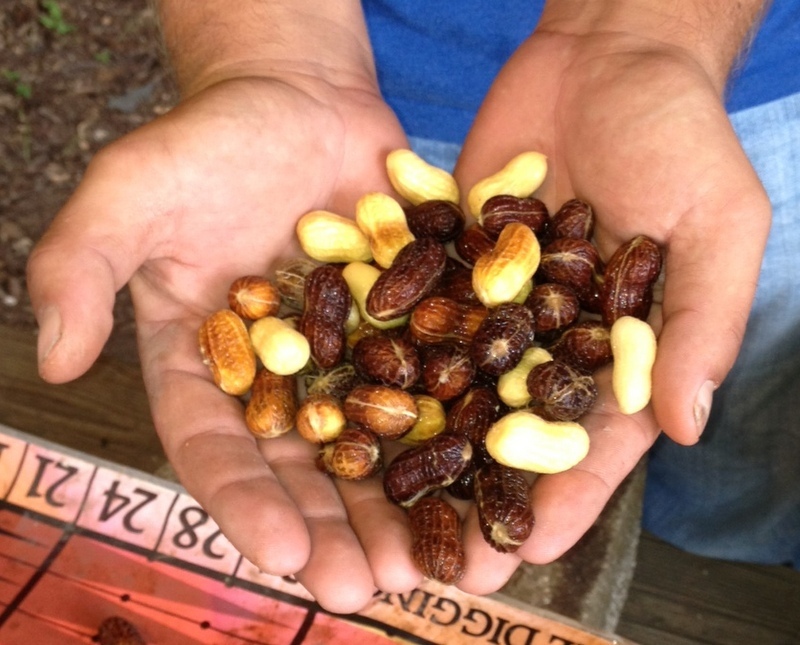 Peanuts are maturing at about the normal expected rate. I have done a couple of dozen peanut maturity profiles and it looks like normal maturity for most of the samples I have run. Some of the early April planted peanuts are taking a little longer 150 days plus but as we get into mid to late April plantings it appears like 140 days or so will be more what we see. Most samples being brought in now need 10 to 14 days more before digging. 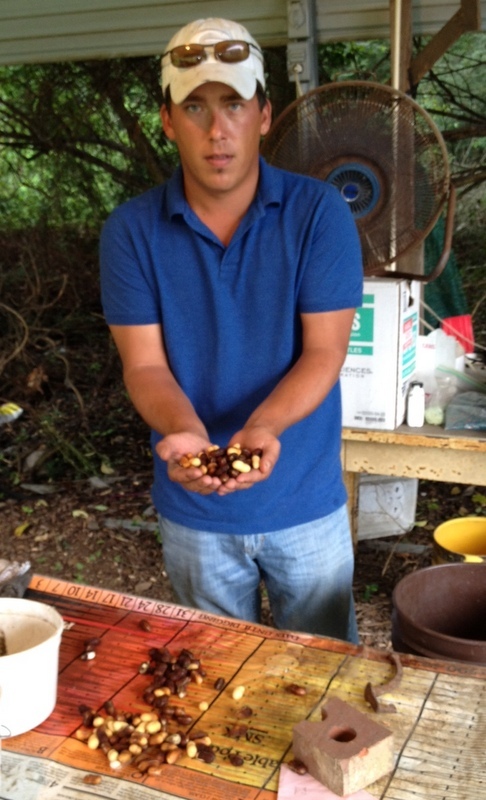 Here’s crop scout Chase Johnson with some peanuts we blasted the hulls off of so we could tell how close they are to digging time. Have you ever heard “There’s an App for that?” Well we are always figuring up the age of peanut fields and there is the deal where it’s 123 days from the same day in May to the same day in September and that helps, once you get into May for planting and September timeframe. 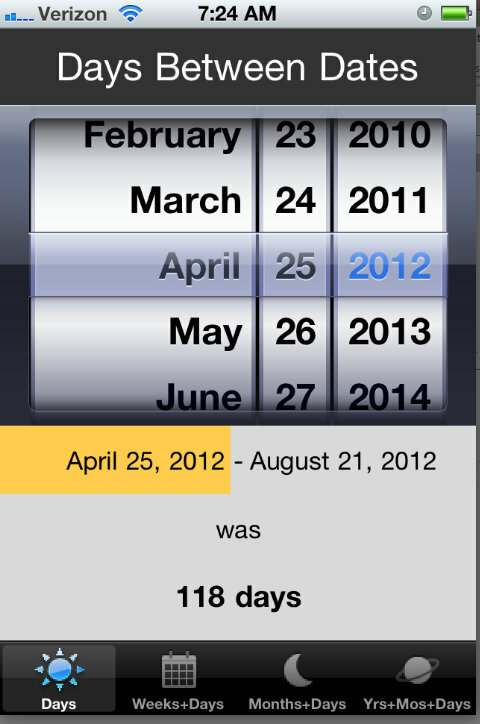 Luke Johnson showed me a free App for smartphones that calculates easily the age of a peanut field. See it below “Days between Dates” I checked it against the chart I used to use and it works well. UGA Entomologist, Dr Elmer Grey, updates us concerning Mosquitoes and West Nile Virus. Here are some mosquito larvae in water. The 2012 mosquito season is upon us. Recent national news reports have described extensive West Nile virus activity in many localities across the country. Georgia has seen its share of cases as well, with 12 human cases already reported and more cases being evaluated. August and September are the peak months for human cases of West Nile virus in Georgia, so precautions need to be taken. The most effective way to avoid any of the mosquito-borne diseases is to avoid being bitten by mosquitoes. The effective use of insect repellents remains the best way to do this. The CDC recommends using products that contain active ingredients which have been registered by the EPA for use as repellents. The active ingredients DEET, picaridin, Oil of Lemon Eucalyptus or PMD and IR3535 have been shown to provide reasonably long-lasting protection from mosquitoes in scientific studies. The American Academy of Pediatrics recommends using products containing DEET with concentrations of 30% or less on children as young as 2 months of age. The other approved products are labeled for children above two years of age. Additional techniques for avoiding mosquito bites include wearing loose fitting, light colored clothing and making sure that all screens are in good condition around our homes. The larval and pupal stages of mosquitoes require standing water to develop. Everyone should work to eliminate any form of standing water around their homes and neighborhoods. The Southern House mosquito, which is the primary vector of West Nile virus in Georgia, prefers to develop in nutrient-rich water in storm drains and catch basins. As a result, this mosquito actually does better during dry periods when heavy rains aren’t flushing the storm drain systems in our communities. If mosquitoes are developing at a site and the water can not be eliminated, there are a variety of EPA approved larvicides that are available. Some of these products can be purchased at local feed and seed and home improvement stores. West Nile virus was first discovered in the U.S. in New York city in 1999. By 2001 it was found in Georgia and by 2002 it had spread across the country. Most people who are exposed to the West Nile virus do not develop any type of illness. An estimated 20% of the people who become infected develop West Nile fever: mild symptoms include fever, headache, and body aches, occasionally with a skin rash on the trunk of the body and swollen lymph glands. Symptoms of the mild form of WN virus generally last a few days. The symptoms of a severe infection (West Nile encephalitis or meningitis) include headache, high fever, neck stiffness, stupor, disorientation, coma, tremors, convulsions, muscle weakness and paralysis. Symptoms of severe cases may last several weeks, although some neurological effects can be permanent. An estimated 1 in 150 persons infected with the West Nile virus will develop the more severe form of the disease. Yes the damage on the soybean stem was caused by Three Cornered Alfalfa Hoppers. They girdle the stem to a point and often adventitious roots come out at the area of the girdling. 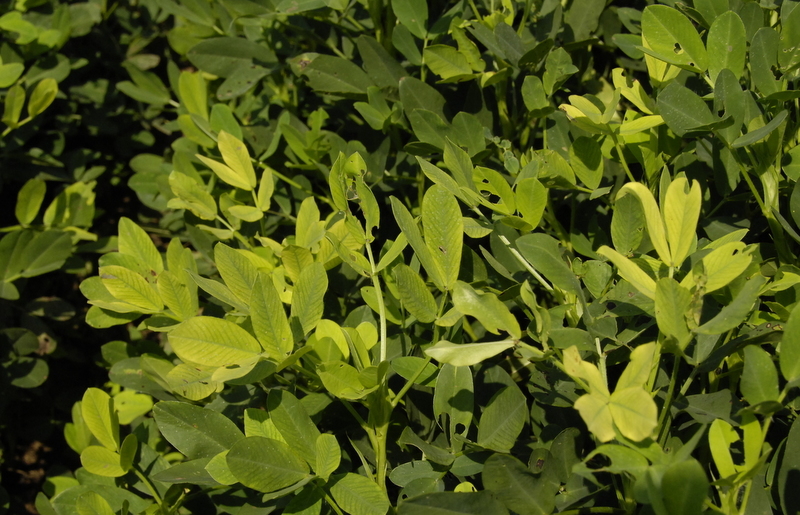 It’s a pest in other crops as well, such as peanuts but it seems that our new peanut varieties are affected less by the feeding. 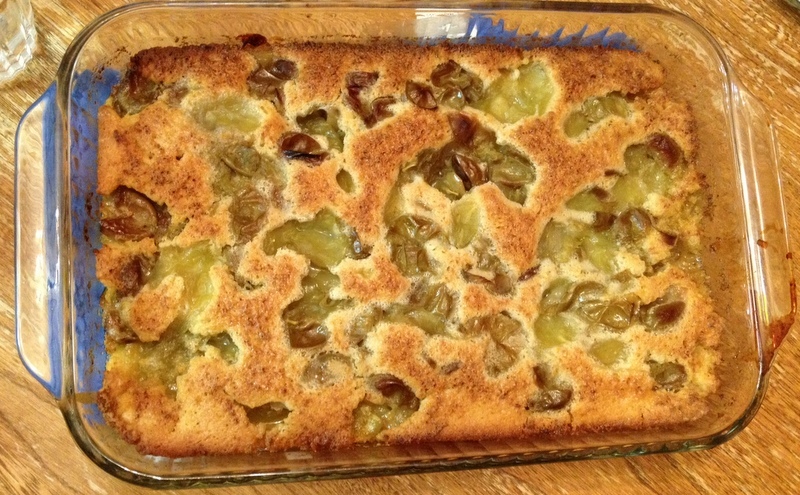 This week I have a question concerning the cobbler I baked, pictured here. It’s the first time I’d ever seen a cobbler like this but my Mother told me about eating it as a child and so I thought we would try it and I want to see if you can identify it? We are seeing more leaf disease on cotton. Some of it is Stemphyllium, which is associated with low Potassium in the plant but a lot of what we are seeing, especially low in the plant, is corynespora and it is causing problems. Dr Bob Kemerait, UGA Extension Plant Pathologist, gives us the following comments concerning this leafspot. Target spot/Corynespora leaf spot is becoming increasingly widespread along the Coastal Plain of Georgia. Although it is most severe in southwestern Georgia, it is also bad in areas to include Colquitt County, Crisp County, Turner County, and I have seen outbreaks in east Georgia (e.g., Wayne County). If anyone still have doubts about the importance of target spot, or the need for fungicides,( they shouldn’t). In one instance, target spot that was hard to find on one date had caused 50% defoliation in untreated plots two weeks later. The following are risk factors: cotton-behind-cotton, conservation tillage, irrigated, rank growth, a history of target spot. 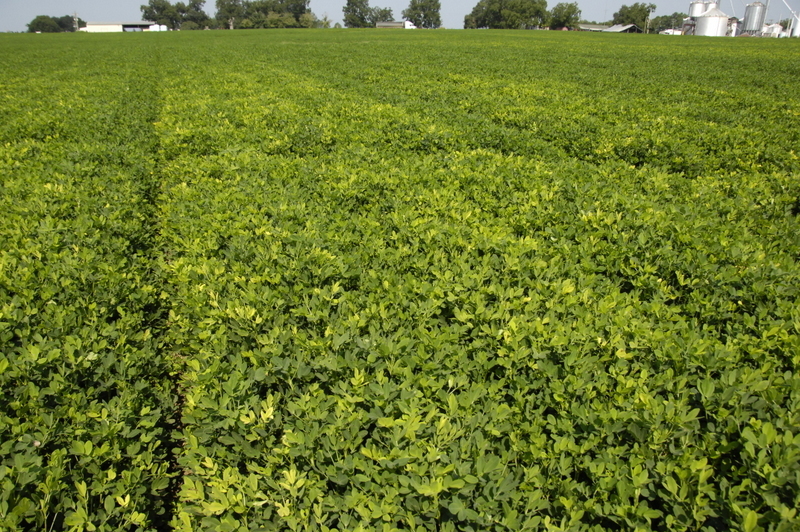 Research this season has CLEARLY shown both the benefits of applying fungicides to reduce defoliation and importance of timing. 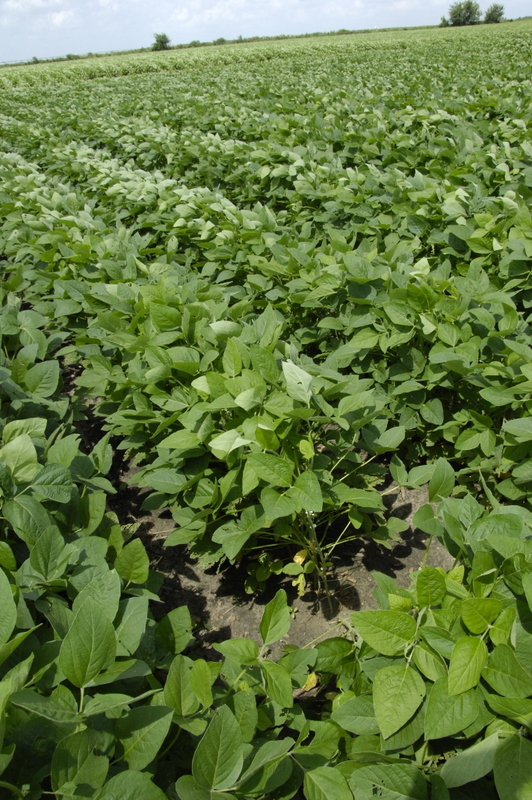 Fungicide applications that are too early (this year, first square) or too late (later weeks of bloom) have much reduced impact on disease management than did applications times around the early weeks of bloom. The exact timing of application will be a “moving target”, at least for now; however it gives us a starting place. The BIG QUESTION NOW!!!! “Bob, should I spray my cotton with fungicides?? ?” I wish I had some better answers, but let’s start with the easiest- A) I would NOT spray if any of the following apply- more than 20% defoliation already and spots throughout the canopy ( too late! 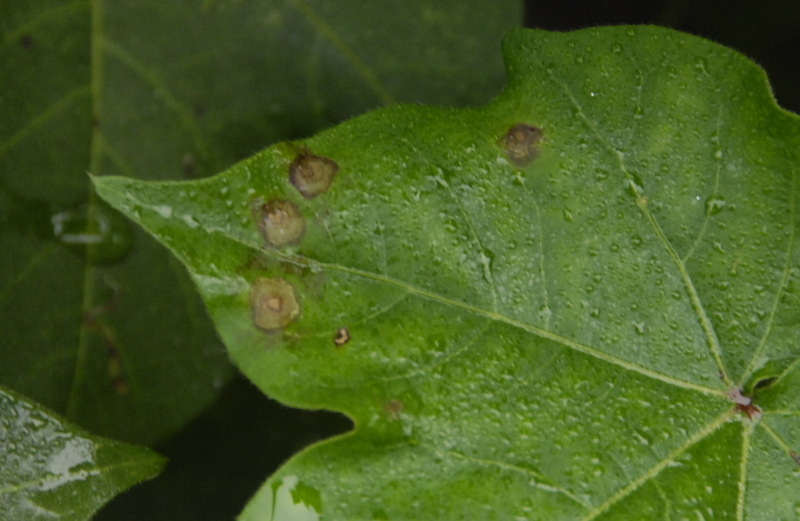 ), dry-land cotton with poor canopy development or yield potential, well-rotated cotton where very little target spot is found and the disease does not seem to be developing. Where I MIGHT spray at this time: Grower field is at risk- based upon conditions above and defoliation and disease are present but not to advanced in the field, cotton is within the first 4-6 weeks of bloom, and cotton is still 4-6 weeks away from defoliation. 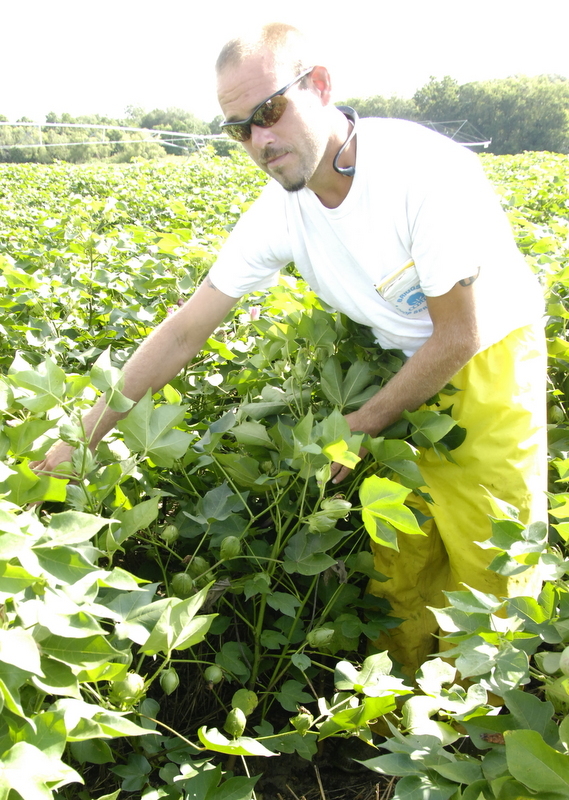 While I cannot insure that an application of fungicide now will increase yields, I believe that the potential for explosive disease in the field coupled with resulting losses justifies the use of a fungicide. Boll rots are also severe this year (based largely upon good cotton growth and rainfall). 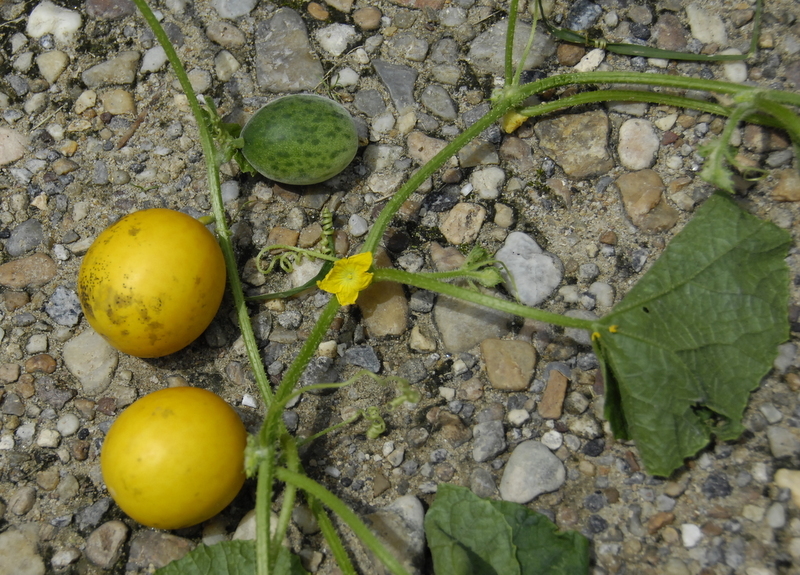 Much of our boll rots this season are “diplodia boll rot” and also some “anthracnose boll rot”. Yellow Areas in Peanut Fields? We are seeing a good bit of yellowing areas in peanut fields. It’s worse where we have high pHs. We suspect most of this is the micronutrient Manganese (not Magnesium) deficiency. 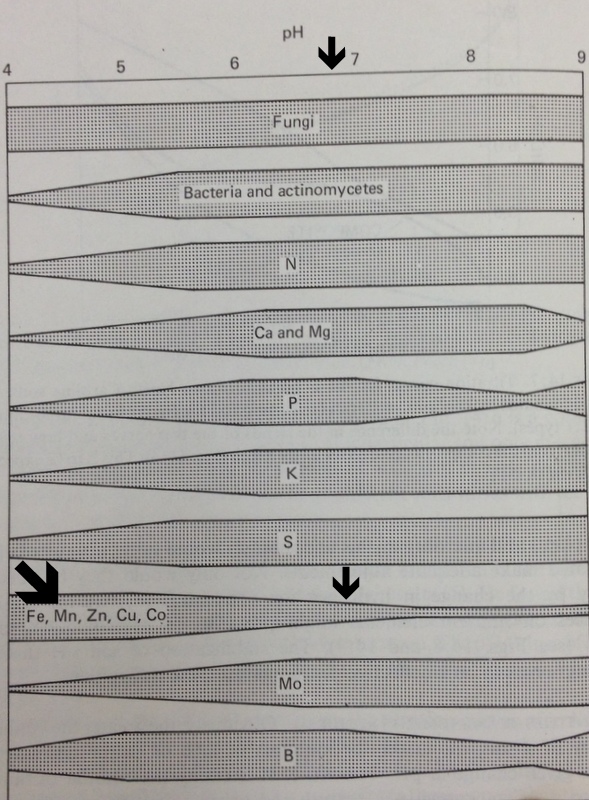 This is due to the fact that Manganese is not as available to the plant at a high pH. We may want to spot spray manganese in these areas if we are 3 weeks or longer to digging. In the fields where I took these photos this week, the pH in some areas was 6.5 to 7.1. The narrowing band on the chart below from my old soil science book indicates the lessened availability when the pH gets higher. Here are some comments from Dr. John Beasley, UGA Extension Scientist, concerning this situation. Here’s some information from the UGA Plant Analysis Handbook concerning correcting Mn deficiencies in Peanut. levels are generally due to low soil pH.